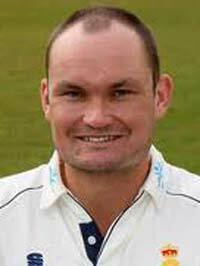 Former Derbyshire batsman Stephen Stubbings has been added to the coaching team which will see Andrew Harris re-deployed as specialist Bowling Coach. Stubbings (left) will be in charge of the Second XI with immediate effect and oversaw his new charges yesterday with defeat to Worcestershire in the Second XI Trophy game. The 35 year old scored 7,557 first class runs in 139 matches for Derbyshire in his 13 seasons as player from 1997 to 2009. 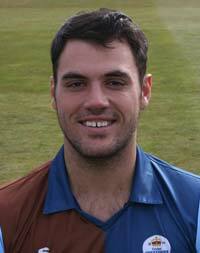 Stubbings recently had a coaching role within Cricket Derbyshire and at Alvaston and Boulton Cricket Club. Head Coach Karl Krikken, who played with Stubbings in his early career for Derbyshire said, "We're delighted to welcome Steve to the fold in a move that highlights our commitment to coaching and player development - and the full time coaching resource of AJ Harris will provide invaluable to the first team bowlers throughout the season. "Both these guys are passionate about Derbyshire County Cricket Club and developing our talented group of players." Stubbings, was quick to point out that Derbyshire is in his blood, "The county has been a massive part of my life for the last 15 years or so and to be given the opportunity to rejoin during such an exciting period for the club is a tremendous honour." Stubbings new charges lost to Worcestershire in a one day Trophy match which was held at Kidderminster yesterday, they posted a score of 244 for their 40 overs, Chesterfield born Ben Slater top scoring with 64. The Pears reached the total with two wickets to spare. Alongside Slater, some of Derbyshire's talented youngsters were given a run out including Peter Burgoyne (pictured here in the new 20/20 kit) who hit 39 from 22 balls and Alex Hughes who scored 33 from 29 balls.